Truthfully, it is impossible to travel the world by the age of 24. Mathematically, it just isn’t quite possible, right? Honestly, you’d most likely be looked at us a fool for even bringing it up in casual conversation. For James Asquith, impossible is his plausible. From Yemen to Romania, the Guinness World Record holder for youngest person to travel the world before the age of 25 is now experiencing the same plausibility’s with his home swapping and hosting platform, Holiday Swap. Before the now 29 year old Asquith founded Holiday Swap, the thoughts of a new app breaking into the home sharing market seemed both improbable and frankly impossible. Now, with what began as a tool for millennials to travel cheaply and save up to 26 percent of the accommodation travel cost, Holiday Swap has expanded its relevancy to all consumers looking to travel. The company now finds itself active in 184 countries, just won Silver at the Best New App Awards, and is experiencing 5,000 percent month-on-month increases in users. The growth stems from the user friendly nature behind Holiday Swap. The idea of saving users money and adding experiences, is one which the average traveller can get behind, regardless of age. For $1 per bed per night, users can travel nearly anywhere in the world and not be concerned with spending hundreds (sometimes thousands) of dollars on housing. For Asquith and his team, it has never been about the money. The company was started by a traveller for other travellers to immerse themselves in some of the most extraordinary parts of the world while maintaining a budget. With 90 percent of revenues predicted from specific travel targeted advertising in-app and “swiping” features allowing tourist boards to advertise every 20th swipe, Holiday Swap does not need to charge more than its measly $1 per bed per night price. The refusal to alter their pricing in the name of higher profits has garnered quite a bit of natural loyalty amidst its consumer base. Holiday Swap already has over 50,000 users with that number growing exponentially each month. Consumer preferences have shifted towards the search for meaning and value behind brands. The times of consumers aimlessly throwing money at surface level brands because of special deals or offers is coming to a close. Not only do brands need to provide products which consumers can relate to, the stories, messages, values and ideas behind these products must be in alignment with the lifestyles behind consumers as well. For Holiday Swap, the proof is in the pudding in terms of how consumers have reacted to their founding and growth implementations. Fortunately, for their loyalty efforts, Holiday Swap will soon be rewarding their users with major changes ahead. Keeping their consumers top of mind, Holiday Swap has announced its biggest, and most impactful, crowdfunding round yet. 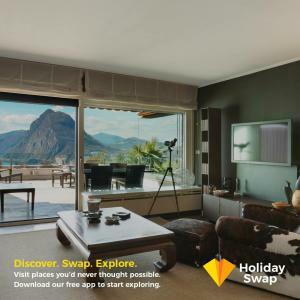 With other major home sharing apps and hotels continuing to have incredibly high prices, the crowdfunding used for the expansion of Holiday Swap will help the company provide affordable lodging across the world for many years to come.